It’s the Season of Summer Weddings! Celebrate May Day this year with colorful flowers and ribbons! Celebrate Earth Day with some fun wedding and party ideas!!! Easter Colors are Perfect for a Spring Wedding or Party! Get creative with Easter themed table settings or incorporate those wonderful Easter colors into your wedding or party! Host a Valentine’s Day Party! Host a Valentine’s Day party with some of these simple and fun DIY ideas to make your party a hit! Whether you spend the day with your significant other or share the day with friends, have fun with these DIY decorating ideas. However, one thing that all married couples will tell you is that marriage is difficult. It takes work, understanding, compromise, tears, laughter and of course, love. So what do you do when you find yourself at an impasse, unable to talk to your spouse about whatever it is you are arguing about? Here is a sweet solution to that future time when you might find yourself questioning your vows or your love. It is believed that this tradition was passed down when a father, preparing for his daughter’s wedding, made a beautiful box. Knowing that he had gone through plenty of hard times with his wife he knew that his daughter would have to face the same kinds of arguments, disagreements and hard times. The day of his daughter’s wedding he sat his daughter down and asked her to write a letter to her future husband, telling him all of the reasons that she loved him, why she wanted to marry him and her hopes and dreams for their future together. Her father then sat his future son-in-law down and asked him to do the same thing. At the wedding reception when it came time to make toasts to the bride and groom, her father pulled out the box. He told the wedding guests what he had done, asking the bride and groom to write each other a letter. He placed the letters into the box along with two beautiful wine glasses and a bottle of wine from the year they were married and he took a wax seal and sealed the box closed. The bride’s father turned to them and told them that in their future lives together they would face hardships, arguments, disagreements, love, happiness, joy and more than they would ever be able to picture as they sat there on their wedding day. But on that day when you feel like you can’t do it anymore, when you want to give up and you are questioning your love, take a deep breath agree not to speak for an hour or two, break the seal on the box, pour the wine and take the letters they had written to each other into different rooms and read them. Years went by and the bride and groom had their own family now but her father had become ill. The bride went to visit her father and when she sat down to talk to him and they spoke of memories from their lives together. After talking for a few hours, laughing and crying over the memories they shared, her father took her hand and asked her if she had ever opened the box. The bride started crying then and her father put his hand on her head and let her cry until she was able to speak again. Tearfully she told her father that years ago, before their children had arrived, they had argued to a point where she didn’t think their marriage could take it. Her husband had been cleaning out the closet ready to leave so they could have a ‘break’ when he found the box in their closet, forgotten since the wedding. He had taken her into their living room without saying anything and he opened the box, poured the wine, handed her the letter he wrote her and went into their bedroom with her letter to him and his own glass of the wine. As she opened the letter and read all of the reasons that her husband had wanted to marry her she remembered all of the reasons they had fallen in love and all of the reasons why she wanted to save their marriage. After a few hours her husband came out of the bedroom, took her hands in his and told her that he loved her. She looked at her father then and thanked him for his wisdom and for knowing that there would come a time when she would need the beautiful box. She told her father that they had gone out and bought another bottle of wine from the year they had been married, wrote new letters and added them to the letters from their wedding day and they had resealed the box. They hadn’t opened it again but she told her father that they will always have those reminders of their first love and their commitment to each other, even through the hardest of times. The bride’s father pulled her to him and held her in his arms like he had when she was a little girl. He stroked her hair till her tears had stopped and she had fallen asleep. Her husband walked into the room and sat down by his father-in-laws bedside and thanked him for the beautiful woman he had blessed him with. 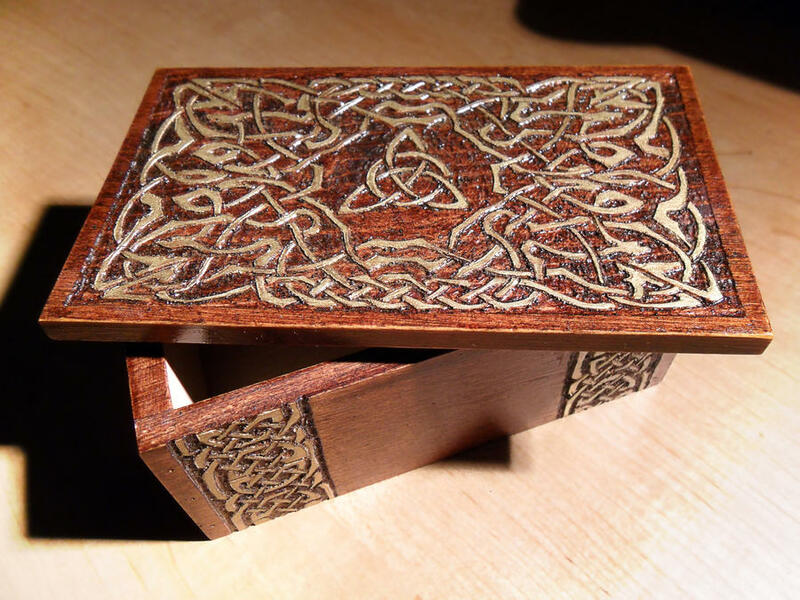 Her father just smiled and looked down and his sleeping daughter in his arms and pointed to a beautifully carved box on the dresser and asked him to bring it over. The groom picked it up, noticing the marks of old sealing wax covering the front of the box. 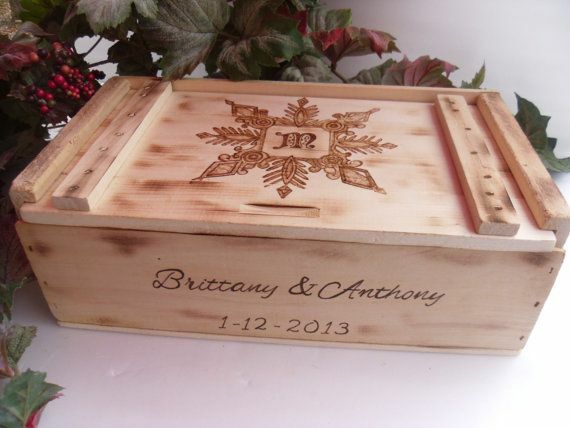 The bride’s father told the groom that the box he held was the one that his father-in-law had given to him the day he married the bride’s mother. They had opened that box at least a dozen times throughout their marriage and each time they had resealed it with new letters. He told the groom that no matter what happens in their lives, their box would be a reminder of the love that was worth fighting for. Since ancient Rome it has been a tradition to throw grain, traditionally wheat, at a wedding ceremony. Grains, wheat, rice, etc. have played a significant part in the wedding ceremony for thousands of years as a symbol of fertility and prosperity. This derives from a time when wealth was measured by how much food you had and the idea of fertility and prosperity was not solely reserved for the bride’s ability to provide offspring in the marriage but rather for the couple to be able to thrive in a largely agriculturally based society. In other traditions and cultures the simple sharing of a meal of rice together would bind a couple in marriage as the act of eating together implied their living together. Or for other cultures the use of rice at a wedding, particularly the act of throwing rice, was meant to feed the evil spirits who were there to ruin the happy day for the couple. Back to Roman times, where wheat was the grain of choice instead of rice as it symbolizes fertility. 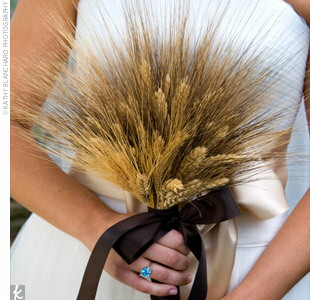 A bride would carry a sheaf or bouquet of wheat, a tradition that has turned into flower bouquets. Instead of throwing the sheaf of wheat to the guests, guest would toss grains of wheat at the bride. Single girls at the ceremony would then try to grab the grains that bounced off of the bride in the belief that the grains would guarantee them a chance to walk down an aisle of their own. This tradition evolved to baking wheat cakes that the guests would crumple and throw at the bride and then to the use of a large cake that the bride and groom would then cut to feed their guests. Because this left guests with nothing to throw at the bride (the cakes were too costly to throw anymore) a cheaper option was found in white rice. 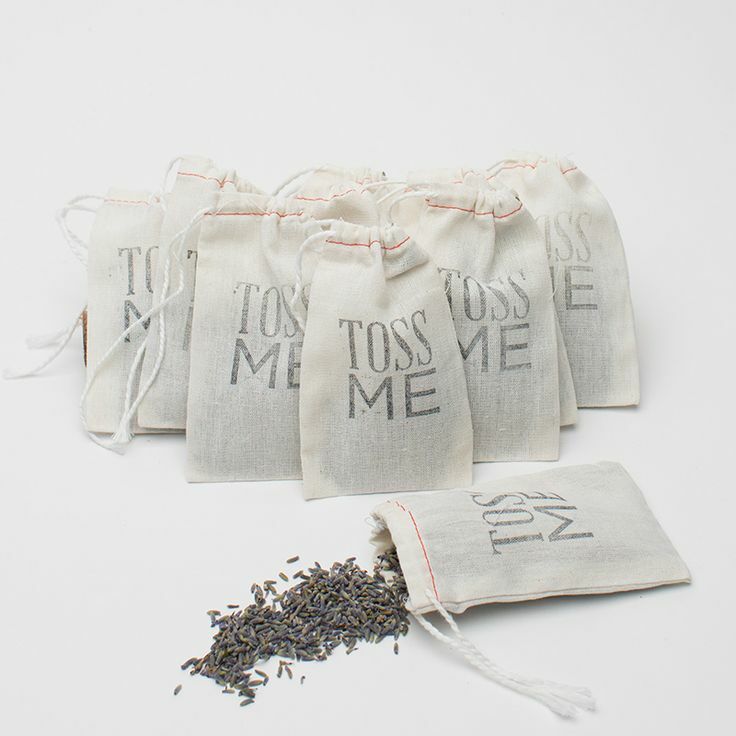 Of course today many people have different options on how to continue this little tradition so here are some alternative choices for things to give your guests as you walk out into your new life together. If you have any other ideas or have things you have done for your wedding let us know! This old rhyme from England has been around for thousands of years, beginning as a Puritan Marriage Custom and originating sometime in the 1870’s as part of an old poem. 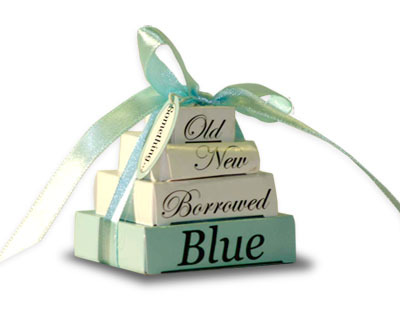 One particular reference to this rhyme comes from a compilation of English folklore in 1898 that tells a bride that in England the old couplet dictates that a bride should wear ‘something old’ to represent continuity in the marriage; something new to represent optimism for the future of the new couple; something borrowed symbolizes borrowed happiness; something blue stands for purity, love and fidelity and a sixpence in your shoe represents a wish for good fortune and prosperity. The tradition with the silver sixpence has since been mostly abandoned as the sixpence piece was only minted until the 20th century in England and has remained a British custom, failing to really make it overseas. This tradition of having something borrowed, blue, old and new can be combined into one item of clothing, a garter. The tradition of taking a garter off of the bride is another long standing tradition. A garter is traditionally passed down from mother to daughter and has a hint of blue on it to help “battle the Evil Eye” from making the bride barren. This is only counter measured by wearing something borrowed, usually an undergarment (such as a garter) from a woman who has been blessed with children (the bride’s mother) and therefore can also be considered to be an old item. The something new is traditionally the bride’s dress or a piece of jewelry. A piece of fabric from an old childhood doll or article of clothing, either sewn into your gown or used as a wrap for your bouquet. A locket with photos of your parents, grandparents or a loved one. You might consider your “something new” your dress, if purchased new. Often, this is jewelry belonging to someone close to you: earrings, a watch, pearls, etc. Jewelry accents in blue: earrings, rings, bracelets, anklet, toe rings, necklaces containing sapphires, topaz, aquamarine, Swarovski crystals, etc. Blue hair accessories: hair clips/barrettes, headband, etc. Let us know what you have used or will be using for your wedding so we can add it to the list! Or send us pictures! The Claddagh, a traditional ring from Ireland comes with a varied history. Perhaps the most popular legend about the origin of the Claddagh ring comes from Galway around the 1700’s. It is said that Richard Joyce, a silversmith, was captured on his way to the West Indies where he was sold into slavery to a Moorish goldsmith. Joyce lived with the goldsmith, learning his trade for 14 years, dreaming of a day when he could return home and marry his sweetheart. After becoming king, William III demanded that the Moors release all British prisoners. He was finally released but the goldsmith wanted Joyce to stay and work for him so he offered his daughter and half of his wealth if only Joyce would stay. Joyce turned down the goldsmith and returned to Galway where his sweetheart had been waiting for him. He proposed to her and gave her a ring he had made during his time in captivity to show his love and loyalty. The other popular legend about the first Claddagh comes from Margaret Joyce, who inherited a large amount of money when her first husband, a wealthy Spanish merchant, died. She got remarried to the Mayor of Galway in 1596 and began using her first husbands immense wealth to construct much needed bridges in Connacht. It is said that while sitting in the fields one day an eagle flew over her and dropped a Claddagh ring into her lap as God’s reward to her for her service to the people and her selflessness. Perhaps the most romantic of the legends comes from a story that tells of a Prince who had fallen in love with a commoner. In order to gain the girl’s father’s blessing he designed a ring for her with hands, a crown and a heart to symbolize the friendship, loyalty and love he felt towards the young girl. The Prince proposed with the ring and the father gave him his blessing. The Hands: symbolize friendship in the relationship, thus the idea of marrying your best friend. The Heart: symbolizes the love you hold for that person or the love you are searching for. The Crown: symbolizes the loyalty in the relationship or the loyalty that you are searching for in a relationship. 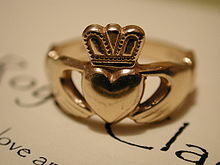 How you wear a Claddagh also holds significant meaning. When worn on the left hand with the heart pointing towards your wrist signifies that you are engaged or married.When worn on the right hand with the heart facing towards the ends of your fingers it means that you are searching for love. But if you wear it on your right hand with the heart pointing towards your wrist it signifies that you aren’t searching for a relationship at that point in your life. Regardless of your faith or heritage the Claddagh ring is a beautiful and elegant piece of jewelry and often passed down through generations from mother to daughter.